Paradise offers access to a large outdoor swimming pool that is ideal for soaking up the rays during the summer months. 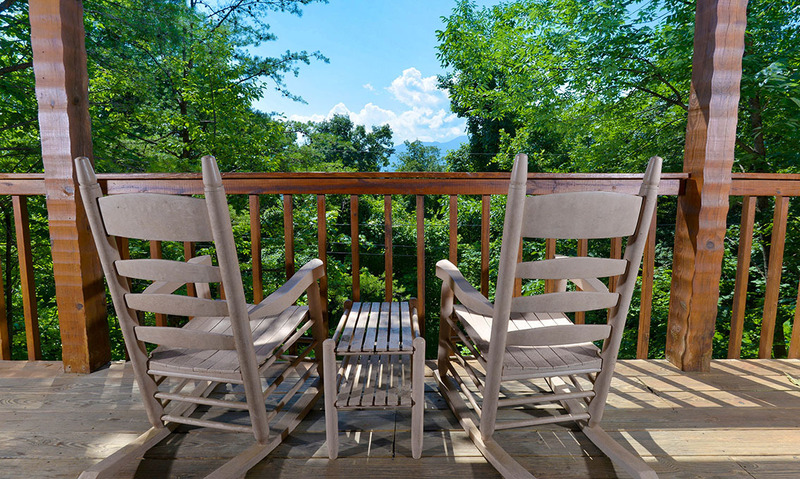 Located about three miles from downtown Gatlinburg, Paradise gives you and your guests easy access to all of the downtown sights and sounds. 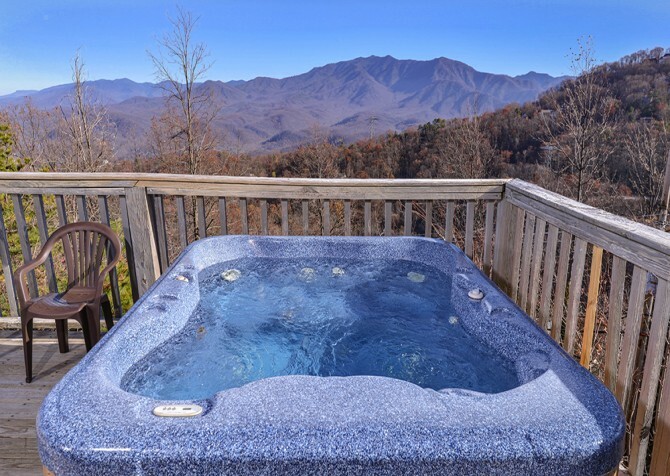 Whether you’re looking to check out the Gatlinburg nightlife or stay cozied up in your cabin rental, you will find just what you’re searching for in Paradise. 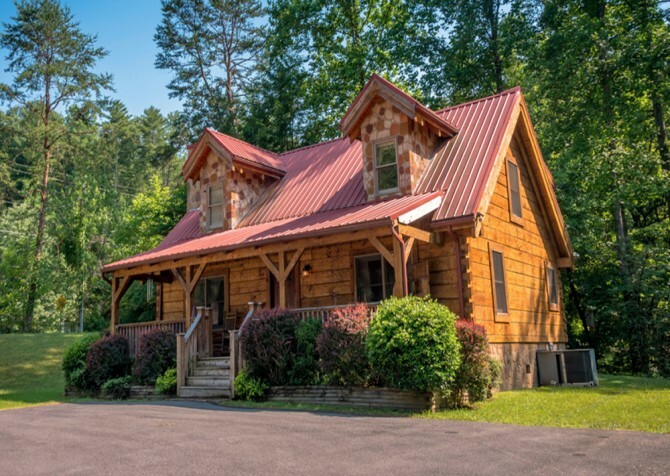 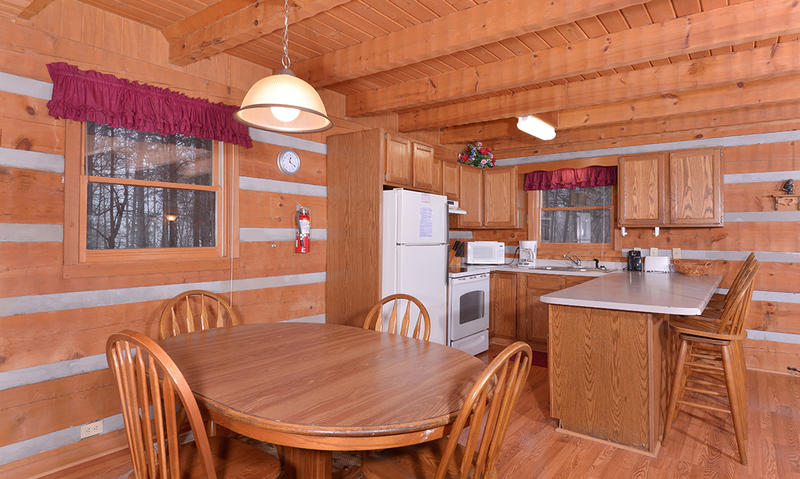 This beautiful cabin offers a paved parking area large enough to accommodate up to three vehicles. 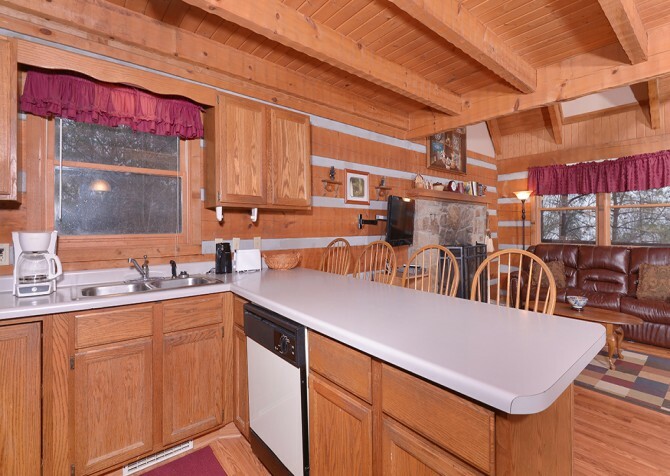 There is only one step to enter the cabin, which you will love when it comes time to unload luggage or groceries after you drive in to town. With a lovely log exterior and covered front porch, you will be delighted by Paradise from the moment you arrive. 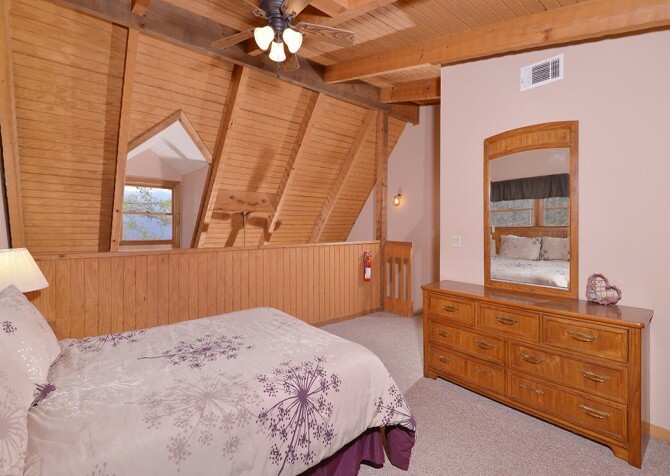 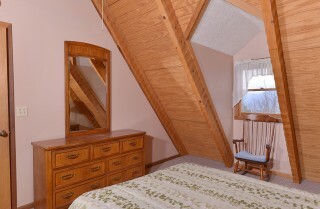 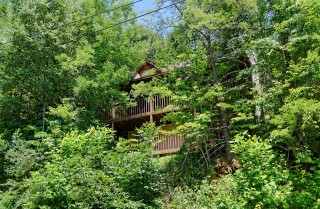 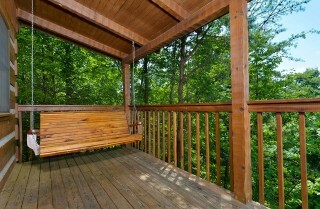 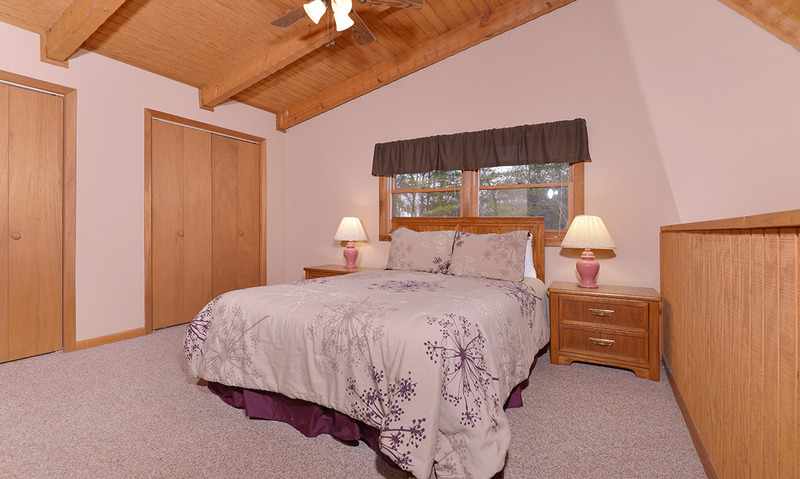 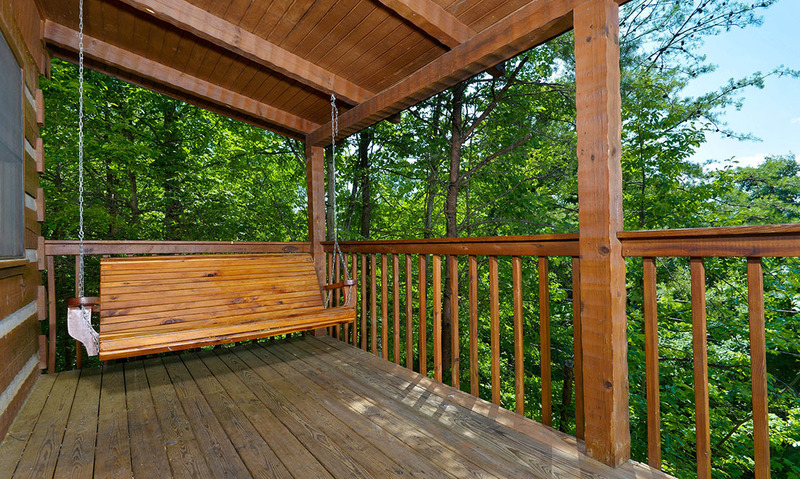 This Gatlinburg cabin rental features three bedrooms plus a loft, all furnished with comfortable queen size beds. 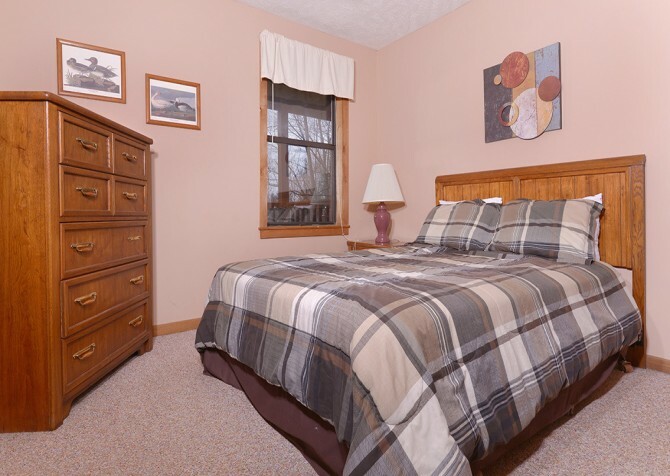 Accommodating up to eight of your friends or family members, you will find each of the bedrooms to be the perfect place to relax and catch up on your sleep. Paradise also offers three full bathrooms, allowing plenty of space for kids and adults alike to prepare for their days in the Great Smoky Mountains. 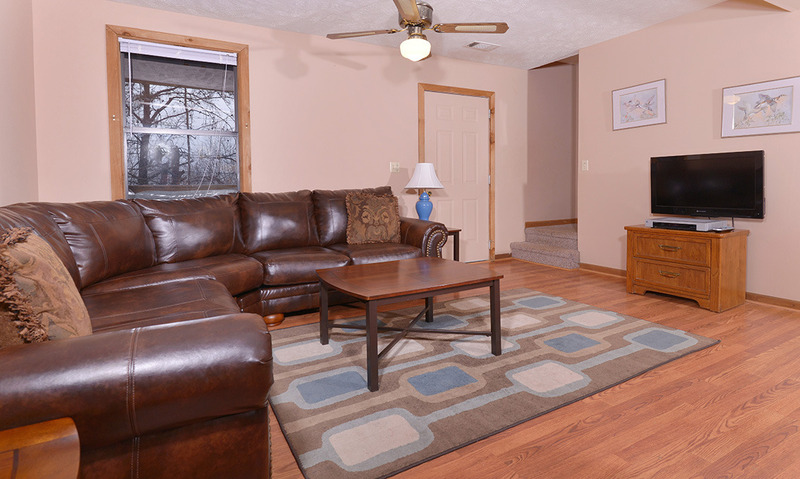 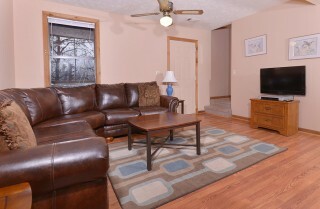 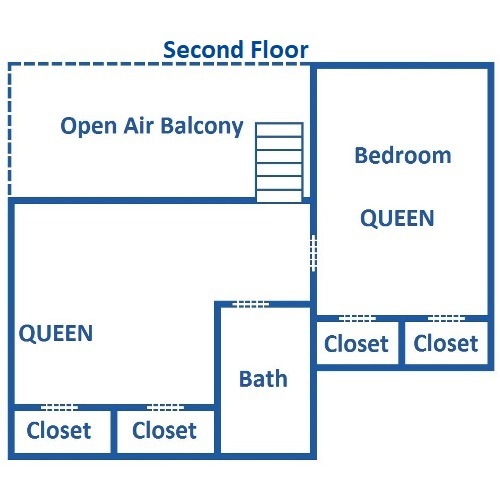 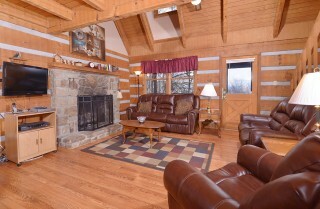 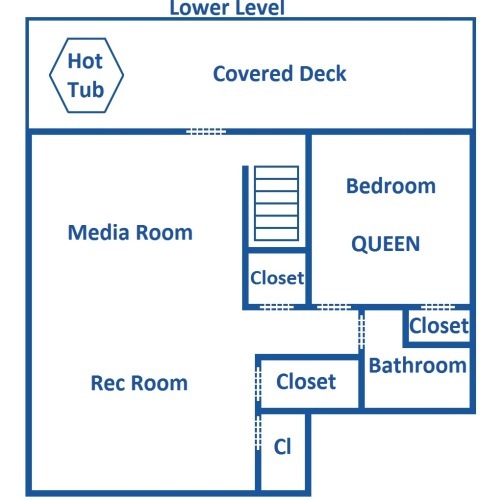 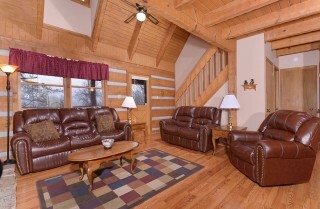 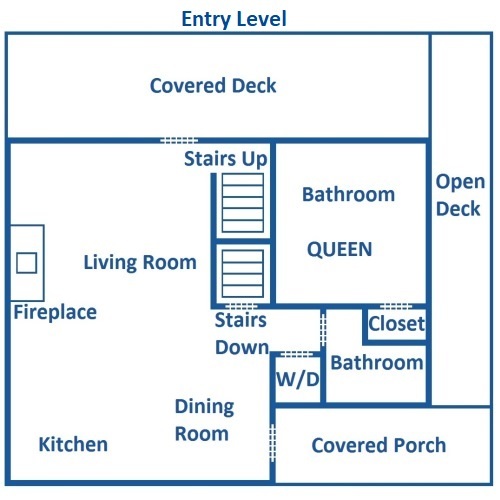 Head to the open-style living area to discover a warm and welcoming place for a comfortable night in your cabin rental. Enjoy warming up by the fire during the winter months or turn on the television to catch a movie the whole family will enjoy. 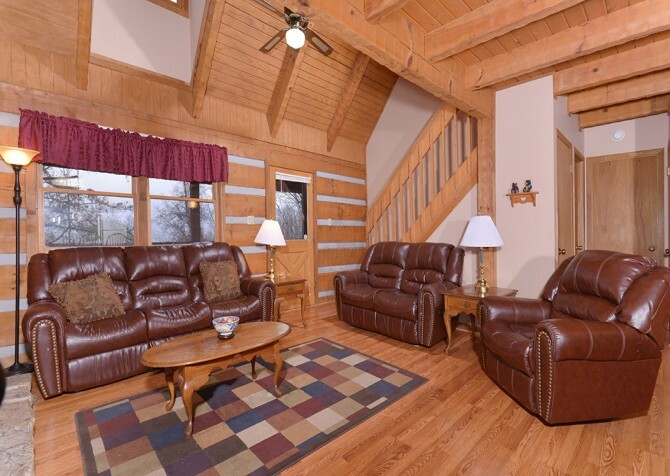 The exposed log beams and vaulted ceiling make the living area a wonderful place to spend your time. 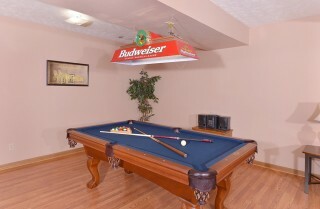 When you’re ready for some fun and games, take a trip downstairs to the recreation room. 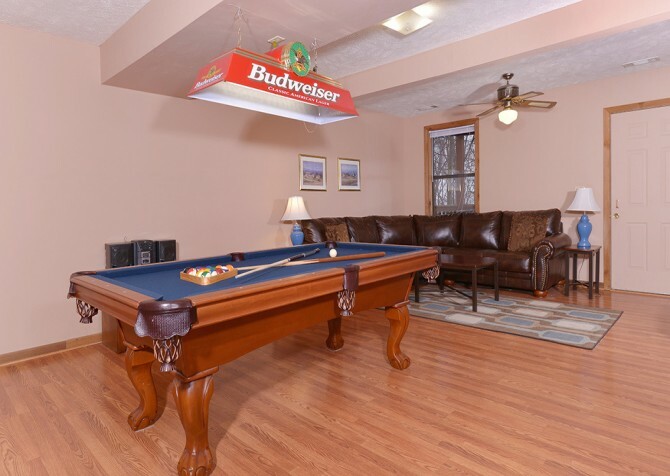 This fun space features a full size pool table for a little friendly competition, as well as an additional living area for those looking to observe the fun. 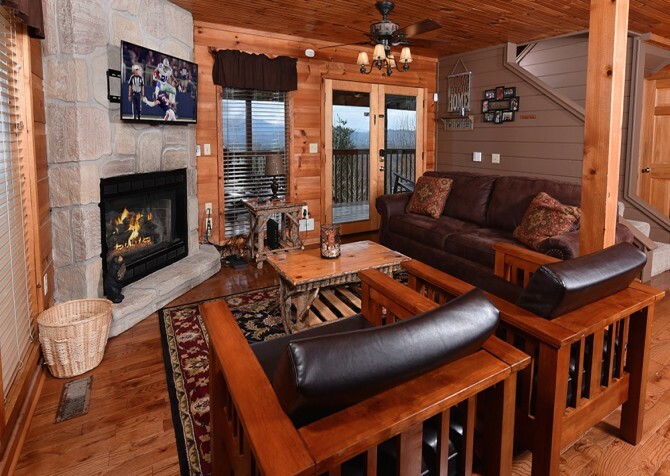 A large sectional sofa and television make this space perfect for an entertaining and relaxing night in the Smokies. 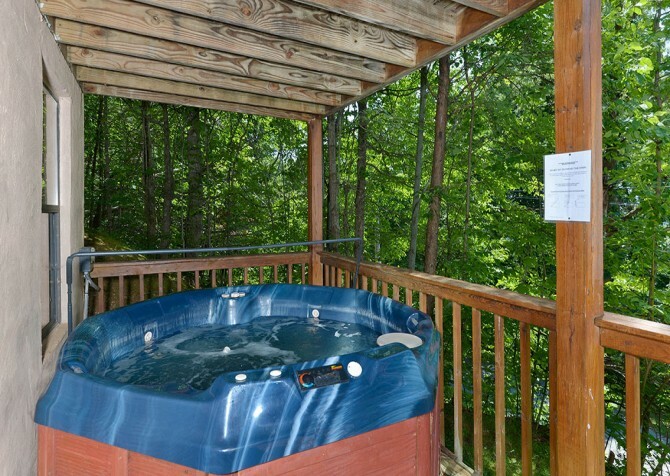 Paradise is filled with amenities that will make your vacation something to remember forever. 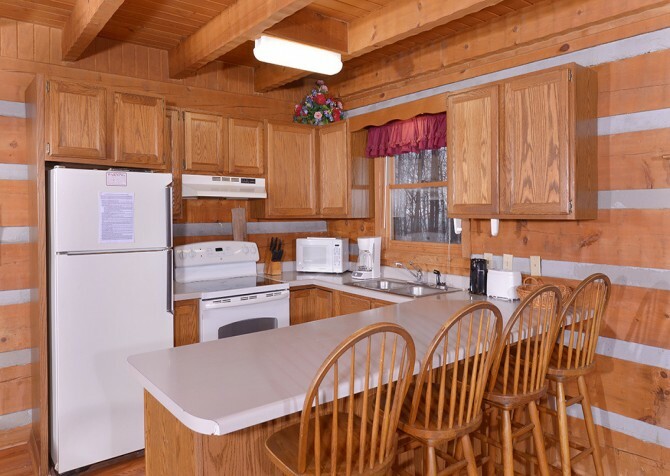 Bring your laptop along to access the wireless internet or throw some steaks on the charcoal grill for a home-cooked meal everyone will love. 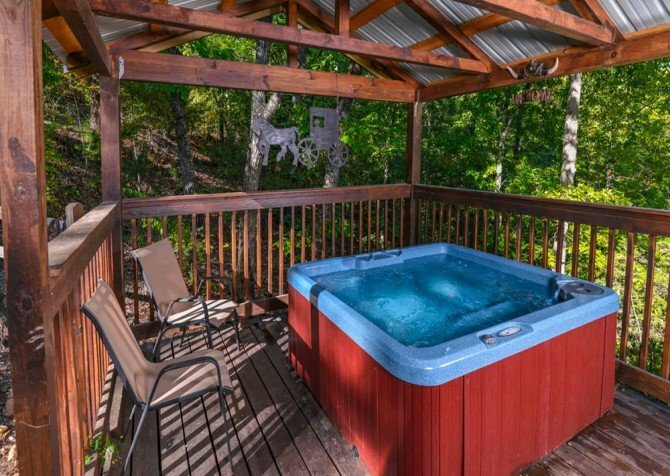 Step on to one of the covered decks to take in your beautiful mountain view, and then climb into the hot tub for a soothing soak. 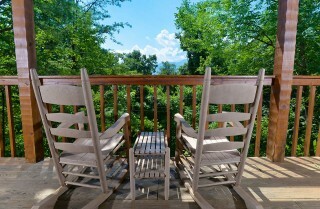 You will treasure every moment you spend in Paradise. *Driveway is steep and curved. 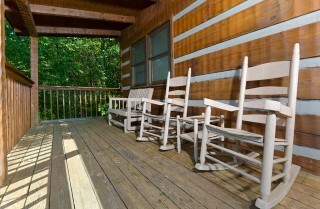 "We spent 4 days in Paradise cabin and it's been the best vacation we've ever been on!! 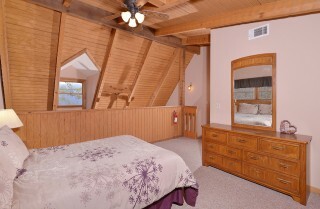 The cabin is absolutely beautiful! 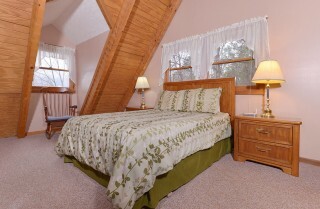 Everything was super clean and the views are gorgeous. The cabin was fully stocked with dishes and pots and pans. There was a washer and dryer also which came in very handy. 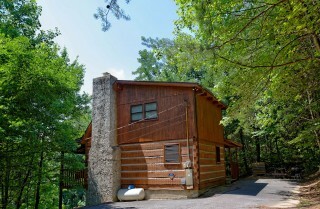 We would recommend this cabin to everyone!! 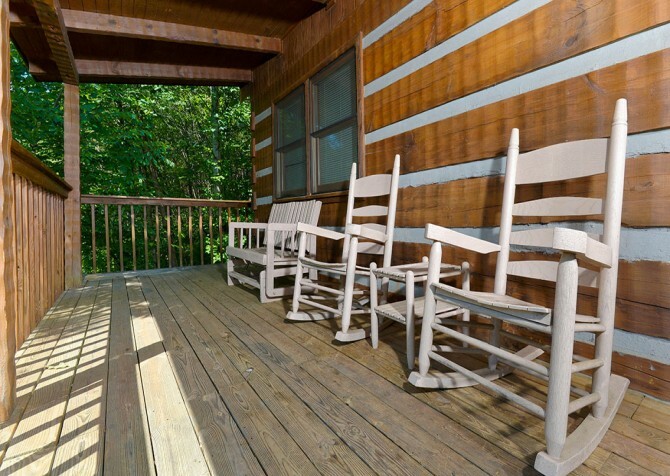 There's not been one bad thing about this cabin. Also the pool is amazing too!! 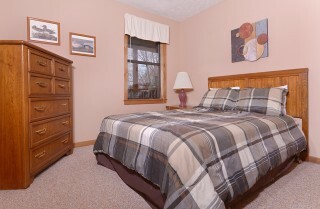 I can't wait to come back someday." 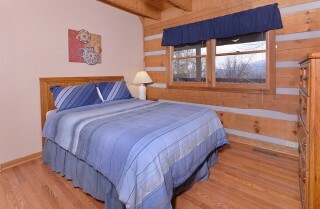 "Great cabin for a great value! 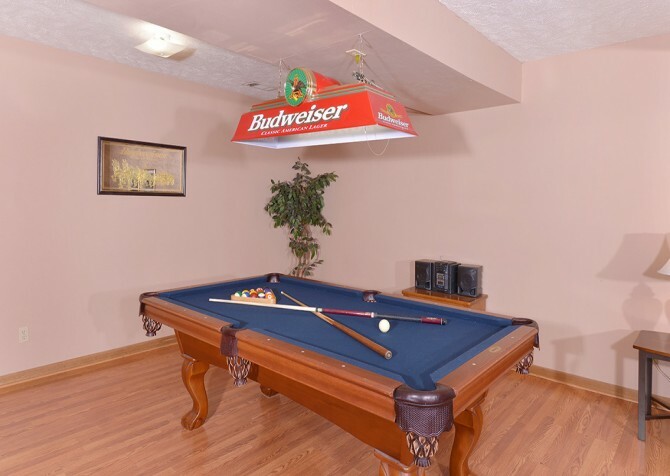 Couldn’t ask for better for the price."